Hollywood heavyweight Ben Affleck, who will be next seen in DC's superhero movie 'Justice League', revealed that the movie still has Snyder's stamp, despite Joss Whedon stepping in to pick up the reins. According to Contactmusic, the 45-year-old actor noted that the movie is Zack's DNA. While talking at 'Justice League' press junket, the Oscar-winning actor said, "The movie is Zack's DNA. He cast the movie, designed the movie. There's something I think people don't understand who don't actually work on movies, which is how much work is done in prep. How much, you know, the casting, the sets get built, the story was written, the ship is, in essence, sailing." Adding, "I found as a director you can maybe change 10 percent, 15 percent or something on the day. So Zack's ship set sail for us, and we were fortunate that, when Zack was not able to continue, we got really lucky that we got a guy who was very accomplished in his own right, and particularly in this genre. He kind of sprinkled on some of his fairy dust on our movie and finished it." The 'Live by Night' star added that he doesn't think it will do any good trying to decipher whose fingerprints are on each specific scene. "I don't think there's any way to go back, to me, and go, 'Oh, that's a Joss scene, that's a Zack scene.' 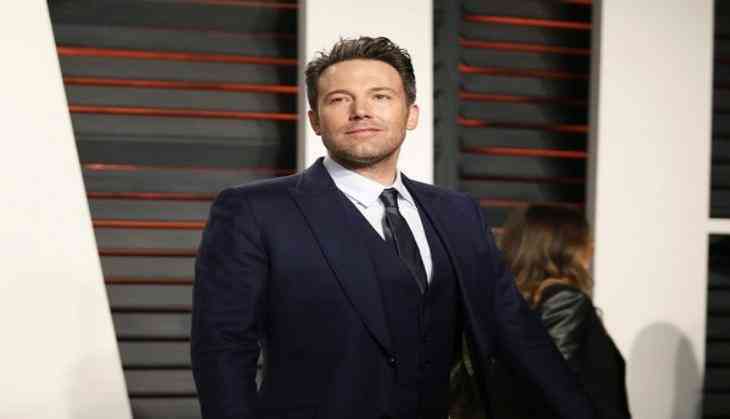 It was more they were both working together toward a common goal," added Affleck. It should be noted that Ben Affleck's 'Batman' will be joining Wonder Woman (Gal Gadot), Aquaman (Jason Momoa), The Flash (Ezra Miller), Cyborg (Ray Fisher) and Superman (Henry Cavill) to fight Steppenwolf, who wants to destroy Planet Earth with his army of Parademons in Zack Snyder/Joss Whedon's 'Justice League'. The movie is slated to release on 17 November.